Set Up What materials will you need? Reading Together Plan when, what, and how you’ll read. Play Activity Bring the book to life! Today we’re using It’s Pumpkin Day, Mouse from the If You Give a Mouse a Cookie series. In this one, the mouse is painting pumpkins for Halloween, a much easier and safer option than carving for little kids! Painting is always fun for toddlers and preschoolers! If you use washable paint, it’s even better. Wash it off to do it over and over! Although the paint is washable, don’t forget about planning for the mess. Gather paper towels or a cloth for the inevitable spills. Even then, spills provide reasons to help children learn to solve problems. When something spills say, “Uh oh! Look! Oh no! Paint! On the table…what should we do?” Give them a chance to come up with a solution. If they don’t, walk them through it for valuable and practical teaching time. Draw on the pumpkins with markers instead. 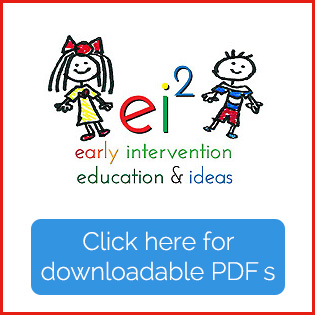 Toddlers LOVE this idea! It’s super novel for them and super easy for you! 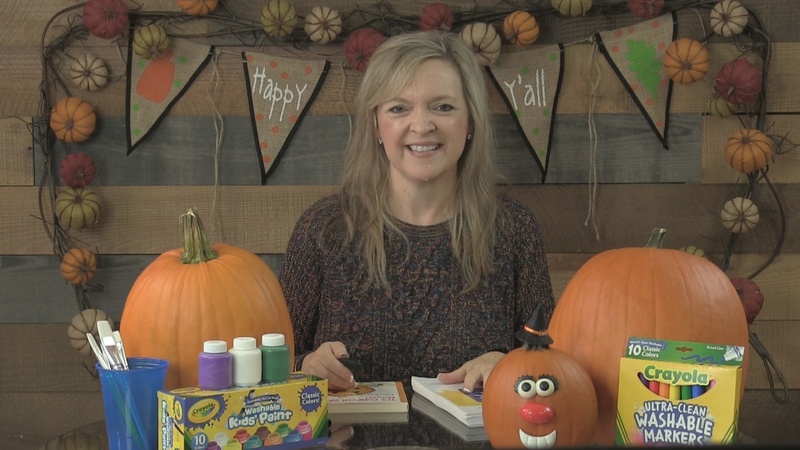 If you hate those messy ideas, you can always use Potato Head parts to decorate the pumpkins. For set up, get yourself a pumpkin or 2 and pick a way to decorate it. The second part is thinking about reading the book together and what your focus will be as you do that. On each page in the book, the mouse paints different facial expressions on the pumpkins. 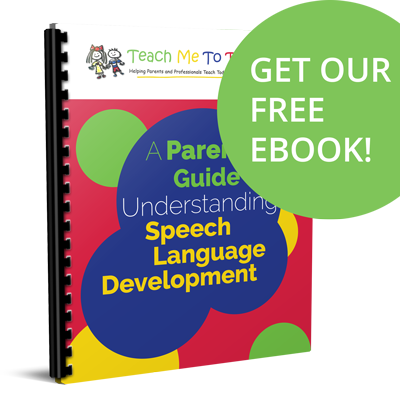 If you’re an SLP, you already realize what a great activity this is for all toddlers, but especially for our little friends who struggle with social referencing. Social referencing means noticing others. Typically developing kids naturally look at other people. All this watching teaches them very early to read someone else’s facial expressions. This experience leads to making inferences or predictions about how someone feels by noting their faces – mostly their eyes and mouths. Our little friends with decreased social engagement do not benefit from this same learning history. They are not drawn to looking at faces so naturally, they’re not going to understand emotion words because they lack that natural drive to watch other people. Their little systems are wired differently so we should guide them through obtaining this experience. Rather than nagging them, it’s best to practice this behavior in naturalistic, non-confrontational activities like these. We should give a child a REASON TO MAKE EYE CONTACT! This kind of activity is a much better way to do this than by looking at flashcards with face after face. No wonder toddlers don’t love that! It’s not fun! In this cute book, we’ll do something different. Model the facial expressions that mouse paints on the pumpkin as you read together. For example, when you see the sad face, pretend to cry. When you’re modeling facial expressions, now is not the time to hold back! Go for it! Exaggerate. Get super animated! Your goal is for the child to look at you…and keep looking at you. Ham it up! Add sound effects too! Make yourself fun to listen to and watch. Remember, this gives a child a REASON to look at you. Some toddlers may try to copy you during this activity by making the same facial expression, and that is fabulous! Imitating others is an important prerequisite for talking. Even if a child can’t imitate the expression just yet, it’s not a big deal. Just help him learn to watch your face and eyes. If a child doesn’t seem to notice you, try a little harder. Get within his line of vision. Hold your face close to his. Don’t worry about being too over-the-top during this activity. Get into it. Little kids love this… I promise! Don’t stop at reading! It’s time to play! After you’ve read the book a few times, now it’s time to paint your pumpkins! Even though it can be messy, or even a little frustrating for you, prepare, put on your happy pants, and paint! Toddlers benefit from new experiences like these to help their little brains develop. I’ve written lots about that lately in my post “Did You Know? Facts about Language Development” at teachmetotalk.com. Check that out if you have not seen that already. Social referencing which is a vital part of responding to people. Imitation skills which means copying someone else’s actions, gestures, sounds, or words. It’s often not that easy, as you may already know! But, I can help you with that!! 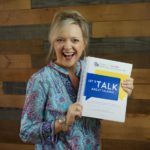 My new book Let’s Talk About Talking tells you exactly what all those prerequisite skills are and how to strengthen those that are weaker in toddlers with language delays. The book will be released in November of 2018, but you can pre-order now here. *Amazon affiliates earn a small commission from purchases.